Elliptical Handhole & Manhole Rings – Clark Kennedy Co. Inc.
We try to supply all rings in SA 106B/C seamless pipe material; when this is not possible rings are supplied in SA516 Grade 70 steel. Stainless steel, other materials and other depths and thicknesses are available on request. 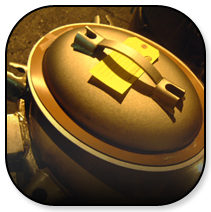 Seamless rings: Rings are sized and then machined on one edge to provide a gasket surface. 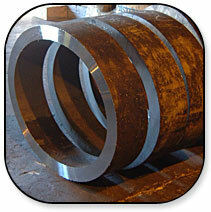 Welded rings: The ring is formed of one piece of steel that is sized, welded and one side machined faced. Rings comply with A.S.M.E. code, UG 11(c) except radiography and heat treatment are not preformed on welded rings. Rings can be ordered with the weld x-rayed; charges will be based on the quantity ordered. Ring depths are nominal and are subject to a reduction of not more than 3/16 after machining. Reinforcement of openings must be calculated for each application on all rings. For information on handhole/manhole assemblies or covers, click here.